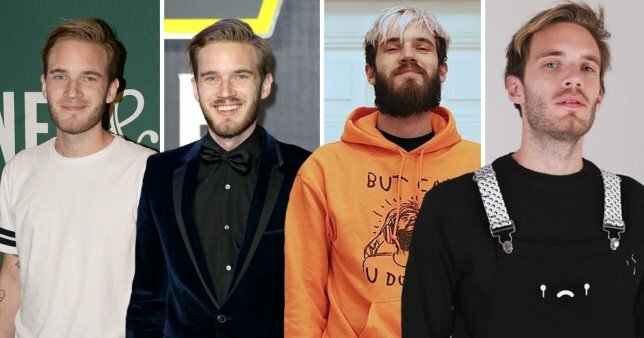 PewDiePie is known to just about everyone as the biggest name on the internet – and for good reason. The Swedish gamer boasts a following of almost 88 million, giving him the title of the most subscribed channel on YouTube – a spot which he’s held since 2013, years longer than anyone else. With Indian music label T-Series inching ever closer to his crown, the 29-year-old has beaten the odds, and managed to hold onto his position for a whopping six years. But, with friends who will spend eye-watering amounts of money on billboards, and loyal fans who dub themselves ‘soldiers’ willing to go to extremes for him, how did he get there? He’s held YouTube’s top spot for years longer than anyone else managed to (Picture: Jonas Ekstrmer/TT) Pewds – real name Felix Kjellberg – started out on YouTube fresh-faced in 2010, making his first video to show off about something funny he found on Minecraft. Although he was at university at the time, he later dropped out and put all his effort into his YouTube videos, working at a hot dog stand to fund his passion. And, despite already building an audience, it wasn’t until 2011 that the gamer started showing his face in his videos. It was around this time that he first started dating Marzia Bisognin, who also created a YouTube channel. The pair later got engaged in 2018. Already having his high-pitched ‘PewDiePie’ catchphrase down, he seemed a bit baffled as to how to define his videos, titling one ‘Video Commentary / Vlog – Partnership? Livestream?’ Whatever they were, they were working, with Felix’s channel reaching more than a million subscribers by July 2012. From then on, the numbers skyrocketed, with his channel overtaking comedy duo Smosh to become the most subscribed on YouTube just a year later. It’s hard to put your finger on why exactly the gamer’s channel grew so rapidly. It could have been anything from the rapid rise of gaming on YouTube, to the family feel he gave his corner of the internet, referring to his fans as ‘bros’. And by the time he’d taken the top spot, he had developed his own trademarks – the PewDiePie shriek and the ‘brofist’ included – and his channel wasn’t like any other around. His popularity only grew, with him taking the starring spot in YouTube Rewind 2014 – a role that this year was controversially given to Will Smith. By 2016, Felix had taken his spot in cultural history, being named as one of Time’s 100 Most Influential People, and having a genuine impact on the gaming industry, with sales for titles he played shooting up. He’s not afraid to cross boundaries (Picture: YOUTUBE / DRAMAALERT) However, with the start of 2017 came the beginnings of controversy. After he hit headlines for using anti-Semitic imagery and cracking Nazi jokes, during a live stream in September, Felix dropped a shocking racial slur. ‘I’m disappointed in myself because it seems like I’ve learned nothing from all these past controversies,’ he said after the comments. ‘It’s not that I think I can say or do whatever I want and get away with it, that’s not it at all, I’m just an idiot, but that doesn’t make what I said or how I said it OK,’ Kjellberg continued. ‘It was not OK. I’m really sorry if I offended, hurt or disappointed anyone with all of this. Being in the position I am, I should know better … and I owe it to my audience and myself to do better than this.’ However, he and fans moved on quickly – far too quickly, according to some – and his channel was largely unaffected by the scandal. He later launched his show Meme Review, which recently featured an appearance from Elon Musk, straying away from his gaming roots. Team 10 member Justin Roberts bought the gamer a billboard in Times Square (Picture: Youtube/ Dean Noroozi) Part gaming, part vlogging, and part comedy skits, PewDiePie’s videos are still incredibly difficult to define – but that never held his fans back, with his numbers only increasing towards the 100 million mark. But his biggest success was more recent, when it looked like music label T-Series was set to overtake him as the most subscribed channel on YouTube – and his fans and friends immediately snapped into action. American vlogger MrBeast started off a campaign which led to billboards (even one in Times Square), radio adverts, and fans hacking video games. Felix gained support from the most bizarre of places, including Ukip and Pornhub, with the phrase ‘Sub to PewDiePie’ being well and truly branded into our brains – and making an appearance in this year’s underwhelming YouTube Rewind. The world’s biggest YouTubers, from Alfie Deyes and Logan Paul to JackSepticEye and Markiplier, urged their fans to subscribe to the gamer for fear of a corporation holding YouTube’s top spot for the first time in its history. In the first four months of 2019, the gamer’s channel grew more than it did in the entirety of 2018, with him gaining tens of millions of subscribers. As for now? Currently, he’s edging towards 90 million subscribers, having held the music label at bay since November.